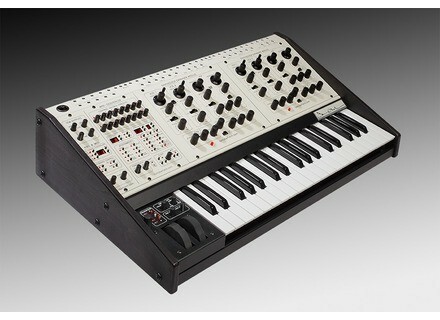 Two Voice Pro, Analog Synth from Oberheim. The team visited Oberheim at NAMM 2015 and brings you a demo of the now-shipping Two Voice Pro synthesizer. [NAMM][VIDEO] Roland JD-Xi hybrid synth The new JD-Xi synthesizer that Roland introduces at NAMM 2015 combines analog and digital synthesis engine. [NAMM] Korg improves the MS-20 concept Korg is making the original MS-20 designers’ dream come true with the MS-20m Kit synth that is unveiled today at NAMM 2015. [NAMM] Korg revamps its SQ-10 sequencer After the return of the MS-20 and the ARP Odyssey, Korg reissues another legendary vintage machine, the SQ-10 step sequencer, with the SQ-1.